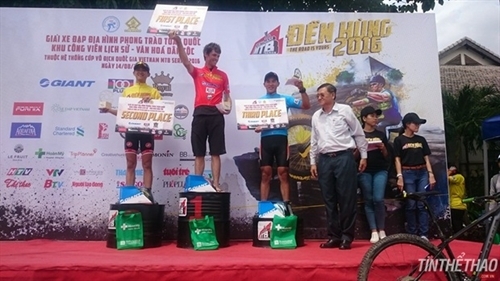 HÀ NỘI — Poilane Florent of France won the 19-40 age group category of the National Off Road Cycling Tournament for amateurs, Việt Nam MTB Series, which wrapped up at the National Culture History Park in HCM City on August 14. Nguyễn Thanh Vũ and Vòng Như Hoa were the runners-up. In the 41-50 age division, Lê Tấn Lai took the title, followed by Triệu Anh Dũng and Nguyễn Đình Trí.